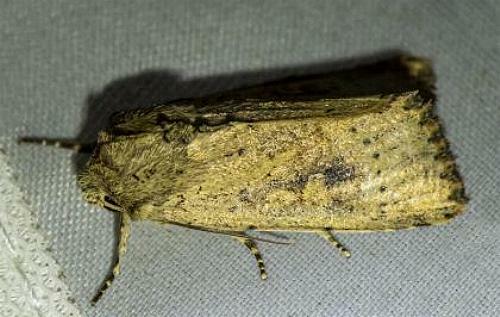 The adult moths of this species have brown wings each forewing having a pattern of dark dots and splotches. The genus into which this species should be placed is controversial. Part 10 (1857), p. 453, No. 12.